The Marin Hawk Hill comes with 120mm of travel in both the front RockShox Recon Silver RL fork and the X-Fusion O2 Pro R air shock in the rear. 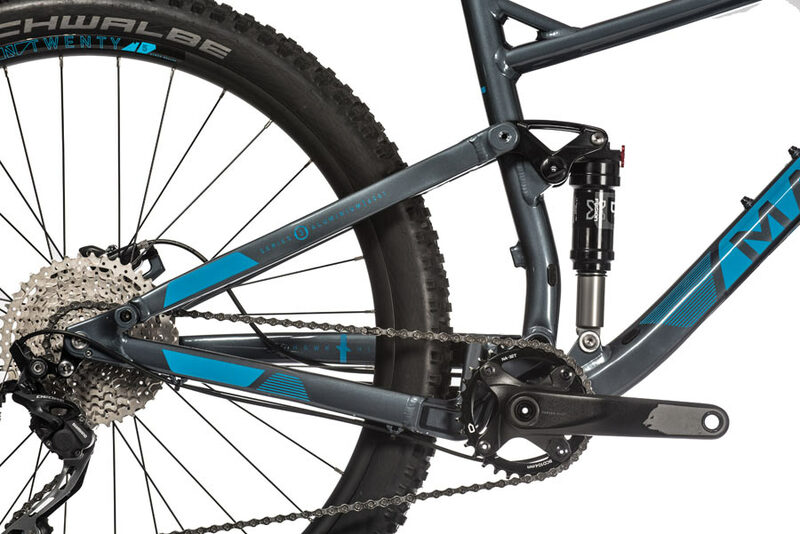 This fork and rear shock pairing brings unprecedented value to this price point. The bike comes with wide 27mm internal width rims – built asymmetrical for added strength – but Marin made sure that when they were designing the frame it would be adaptable for upgrades down the line. Things like built in fittings for internal dropper post routing and 9-12mm rear thru-axle dropouts allow for wheel and component upgrades over the lifetime of the bike. Marin wanted the Hawk Hill to not only provide great value fresh off the sales floor, but also have the flexibility for riders to bring it to the next level as they progress on the trails. 2017 Marin Hawk Hill. 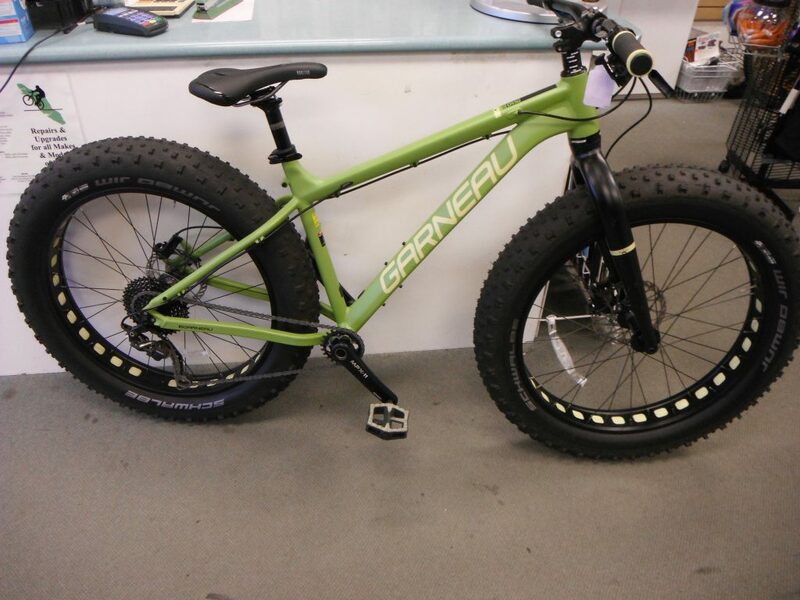 Trail bike built for fun! There is no doubt that this full suspension model offers a great value to the rider, built around trail ready 27.5” wheels, and a 1×10 Shimano Deore Shadow Plus drivetrain. But the value goes beyond the spec and into the technology the bike has to offer. 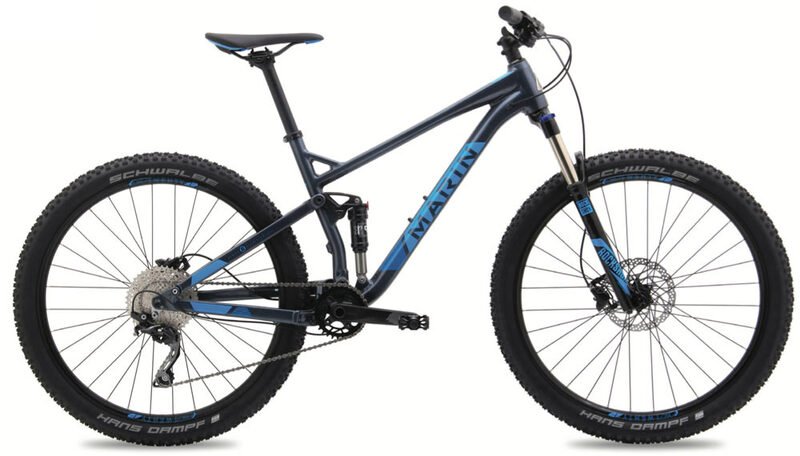 Marin brought the same development that goes into their professional riders race bikes, and put it into a much more affordable package that’s suitable for both beginning trail riders and advanced mountain bikers. 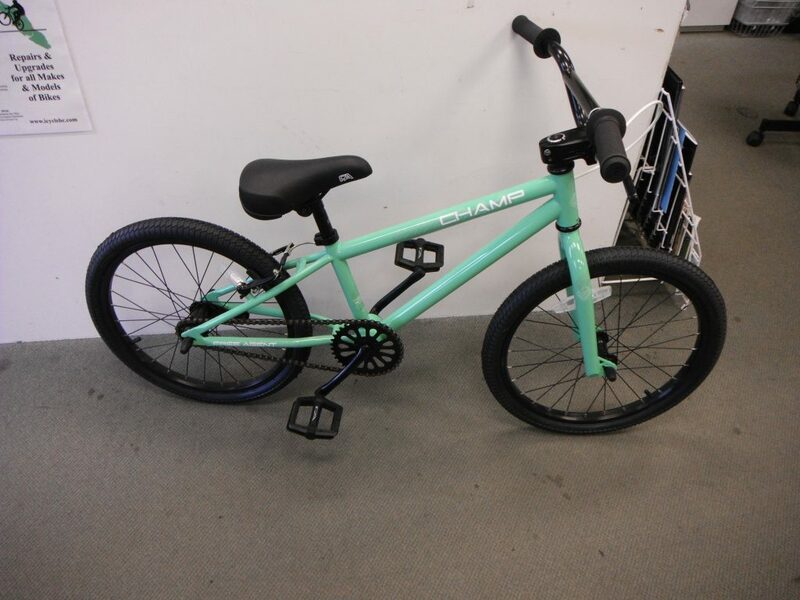 Series 3 6061 butted and hydroformed aluminum frame with 120mm travel MultiTrac suspension technology and 27.5” wheels. 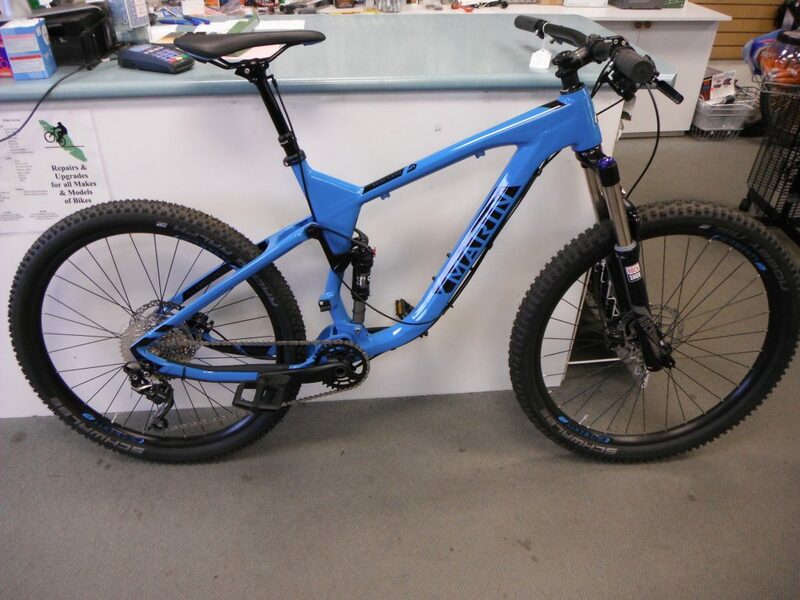 of a longer travel Enduro bike. Featuring our highly advanced IsoTrac suspension platform with 27.5” wheels and available in lightweight carbon and Series 4 Alloy frame versions, the Mount Vision is the ultimate trail companion. The Mount Vision 8 pairs our carbon monocoque front triangle with a lightweight aluminum alloy rear to give a lightweight, stiff and compliant ride feel. Industry innovator RockShox suspension front and rear manages the terrain, while Shimano’s new XT 1×11-speed drivetrain transmits your power to the trail. Maxxis Minion/Ardent 2.3 folding bead tubeless tires and Stan’s Flow EX tubeless rims are stiff and light, and Shimano XT brakes provide reliable trail braking performance. A KORE bar/stem combo and KS LEV Integra dropper post round out the package. 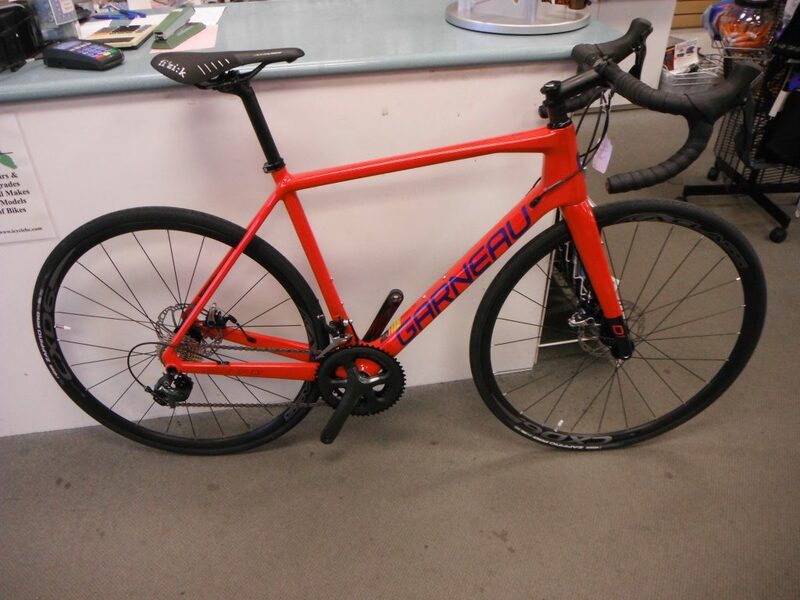 Enhanced monocoque carbon frame construction & IsoTrac suspension platform with custom-tuned shock, 140mm rear wheel travel. Utilizing flexing stays, IsoTrac eliminates the need for a rear pivot, reducing weight and enhancing ride characteristics. Custom-designed replaceable downtube protector with cable ports for semi-internal routing.